Inca Trail to Machu Picchu: If you are short on time (or energy) you can still enjoy the highlights of Camino Inca, including orchids and hummingbirds. With enough time to visit the most beautiful site on the Inca Trail, Wiñay Wayna, arrive through the Intipalaka (Sun Gate) and experience Machu Picchu in only two days! When one speaks of the Inca Trail, most people conjure in their minds, backpacking for days, retracing the footsteps of Pachacutec and his entourage from Cusco to the “Home of the Sun”, Machu Picchu. The Camino Inca made use of the rugged Andes and the sometimes inhospitable terrain of the Amazon Rainforest, connecting the four regions of the Incan Empire throughout much of the South American territory known as the Tawantinsuyu. What most would see as a barrier, the pre-Columbian people emphasized, creating a system of roads so natural to the environment, they all but disappear. Respect and harmony for the environment, Pachamama, was reflected in all of the pre Inca and Incan architecture and roads. 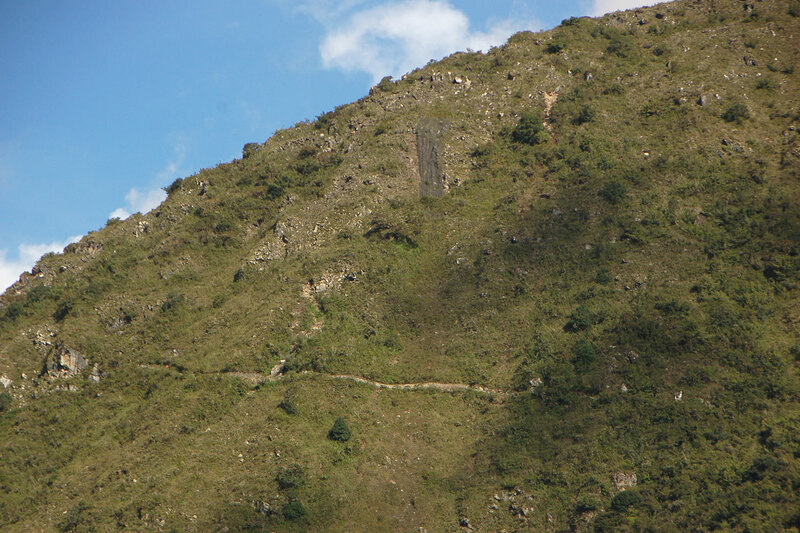 In many places, large areas of the Inca Trail are still used by local people as a means of passage that modern times could not improve upon. 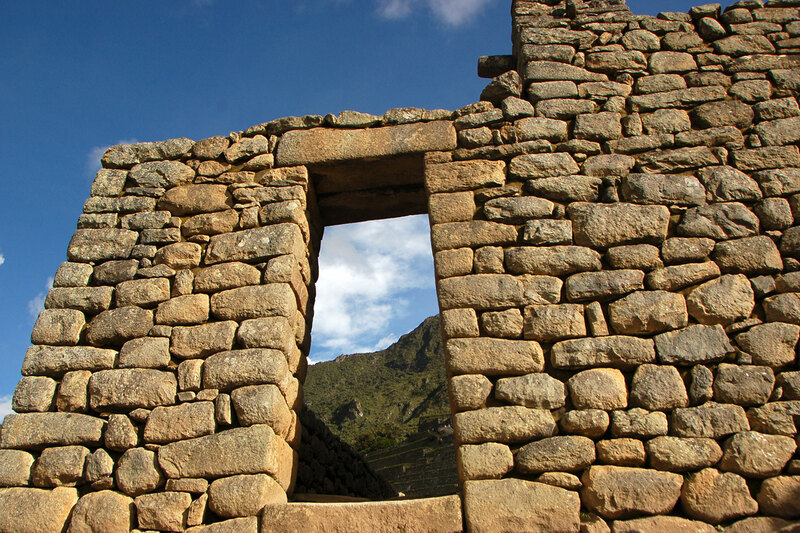 The Qhapaq Ñan to Machu Picchu is one such architectural reverence and resilience – the road being an artery of lifeblood, connecting the four regions to this revered city and what is now a UNESCO World Heritage Site. 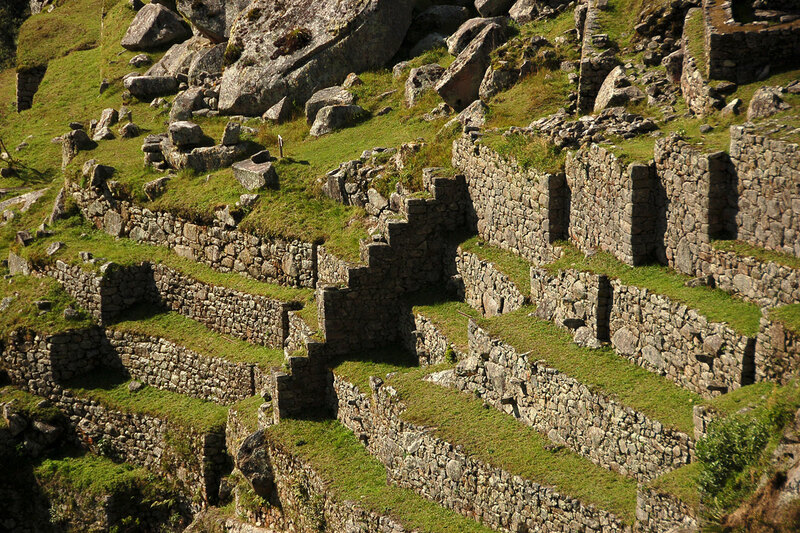 Over the years, some areas of the Inca Trail to Machu Picchu were destroyed or altered to make way for new roads while the Qhapaq Ñan remains a living way to Machu Picchu. This most authentic part of the Inca Trail, has been meticulously preserved in its most true state, leading adventure travelers over the stones that Pachacutec and his entourage did in fact travel to reach the Citadel known as Machu Picchu, Home of the Sun. Note: The difficulty of this trek is considered medium, assuming backpackers are an average level of fitness and are acclimatized to the altitude. Space on the Inca Trail is subject to availability. For ecological and archeological preservation, Inca Trail permits are limited; the overall number available reflects support personnel, guides, porters and cooks, in addition to backpackers. For that reason, we recommend booking our 2 Day Inca Trail Trek 1 – 2 months in advance of your desired travel and our 4 Day Inca Trail Trek 6 – 12 months in advance of your desired travel. Permits for hiking Huaynapicchu ($75/per person) and Machu Picchu Mountain ($70/per person) are separate from your Inca Trail permit. Both have limited availability and should be requested at the time of your booking. The first day begins when we pick you up from your hotel at 3:40 AM (time varies depending upon the train schedule) and take you by private transport to the Poroy train station, located just outside of Cusco. We travel via Peru Rail, on a picturesque route through the Sacred Valley for two and a half hours, to the starting point of the trek (Kilometer 104). After disembarking, your group will hike approximately four hours up to 2,680 m/8,792 ft to the Inca site of Wiñay Wayna (Forever Young), one the most beautiful sites on the Inca Trail. Climbing to 2,730 m/8,792 ft, to Inti Punku (Sun Gate), you will experience the majestic and panoramic view of Machu Picchu (2,400 m/7,873 ft). Together, we walk down the last part of the trail, towards Machu Picchu itself. 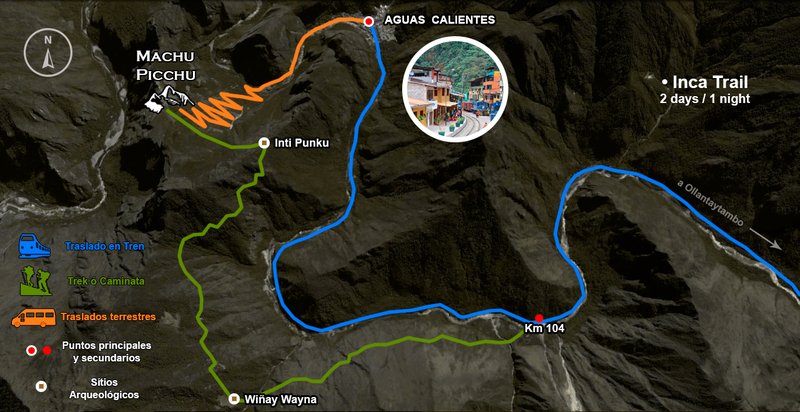 Before reaching the Home of the Sun, we will take a side path and descend to the town of Aguas Calientes. In Aguas Calientes (Machupicchu pueblo) we will have dinner and settle for the night. Machu Picchu will be toured on Day 2. The big day begins with a solid breakfast before we take the first bus at 6:00 AM up to the citadel of Machu Picchu. Your guide will give you a 2 hour private tour of the most important sites within Machu Picchu, followed by free time to explore Machu Picchu on your own. If you still have energy and have bought the ticket, you can also climb Huayna Picchu (2,720 m/8,923 ft). It takes approximately 45 minutes to hike to the top of Huaynapicchu and 2 hours for Machu Picchu mountain, where you will get a magnificent views of Machu Picchu and surrounding valleys and mountains. Later, you will return to Aguas Calientes for lunch (not included in the tour cost) and to rendezvous with your guide to receive your train tickets back to Cusco. If desired, an extra night in Aguas Calientes can be arranged. This option is very popular as it allows more time to explore Machu Picchu and enjoy the thermal springs in the town – a real treat after two days of hiking and exploring. VERY IMPORTANT – As of January, 2018, entrance to Machu Picchu is either for the morning or afternoon. 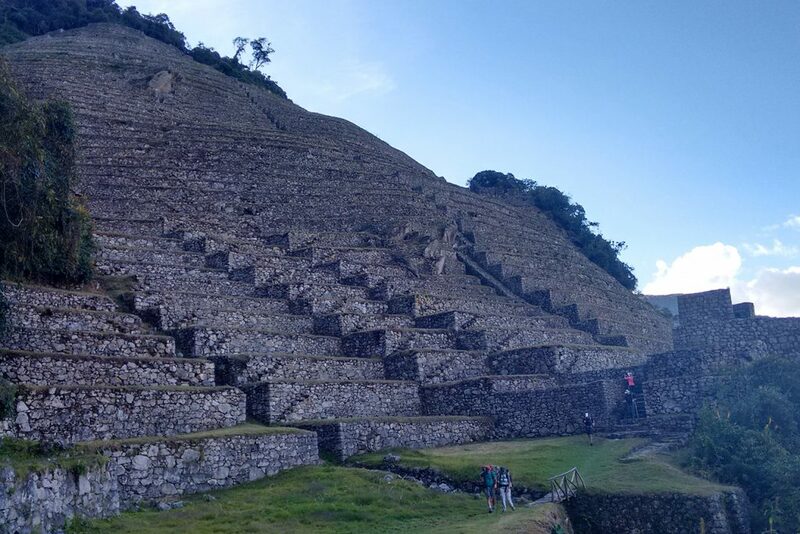 Reservation times for hiking Huaynapiccu or Machu Picchu Mountain are for the morning and your entrance ticket for the citadel for the afternoon. Depending on your reservation time, your guided tour of Machu Picchu will either be in the morning or following your pre-reserved hikes on Huaynapicchu or Machu Picchu Mountain. Let us know if you wish to make your reservation for the afternoon, when there historically are fewer people at the citadel. Reservations are dependent upon limited availability and we make every effort to craft your Machu Picchu experience for your maximum awe and wonder. 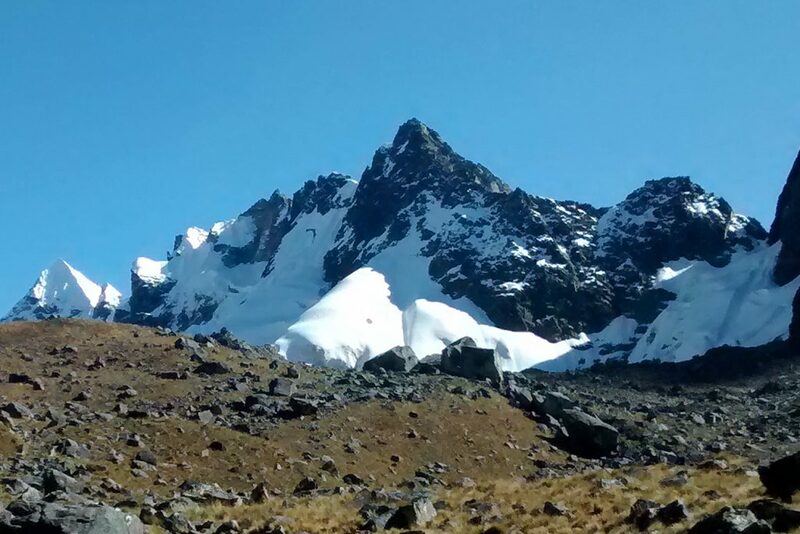 Note: Camping on the Inca Trail is reserved for trekkers on 3-5 day Inca Trail Treks. All people on shorter tours spend the night in Aguas Calientes, the town nearest to Machu Picchu. Note: Your reservation includes one night’s accommodation with a 3 Star hotel in Machupicchu Pueblo (aka Aguas Calientes). Three Star accommodations include hot showers + private bath + breakfast. We are happy to upgrade your stay to a 4 or 5 Star hotel for an additional fee. Note: Student discounts are given to passport holders under the age of 18. Students 18 years and above need to carry with them a valid Student ID from their school/university that shows expiration after travel dates. The International Student Identification Card (ISIC) is no longer a valid form of student identification. Please scan and email us a copy of your student ID at the time of booking to receive student pricing for applicable entrance fees and travel.